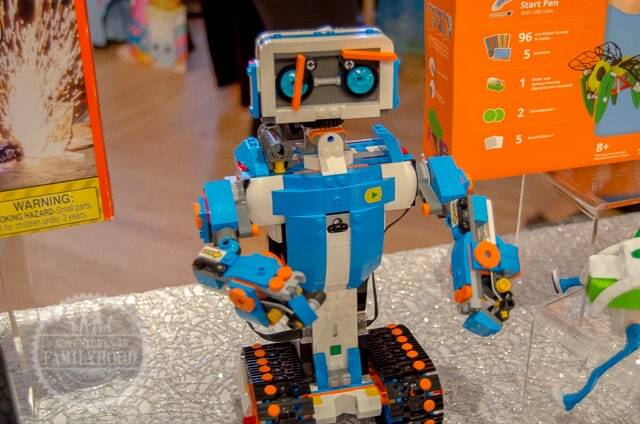 STEM toys are a hot trend in toys right now. STEM stands for Science, Technology, Engineering and Math. 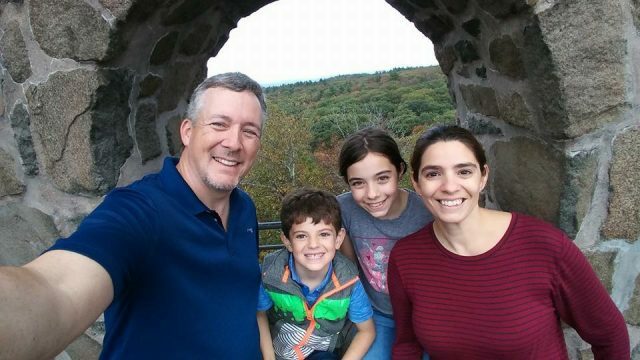 While all play is beneficial and lots of toys have educational benefits, STEM toys are focused on preparing children for a world that is more technically oriented. Here are the top 10 STEM toys selected by the Toy Insider experts for 2017. 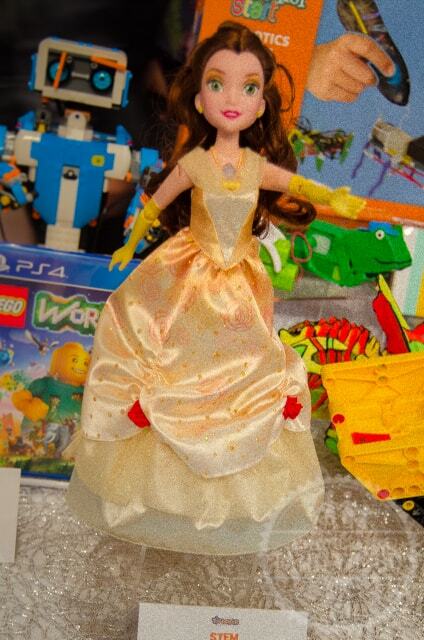 Dance Code Belle empowers and encourages kids to imagine they are bringing Belle to life in a realistic way, including an interactive and story-driven app that introduces kids to early coding techniques. As far as coding goes, this is very basic. It’s similar to some of the preschool level coding toys, but has a look and feel of something more grown up since it’s so fancy. The stand-alone option gives it some extra value as it could be played with without using the app. Science projects are always a good STEM activity. 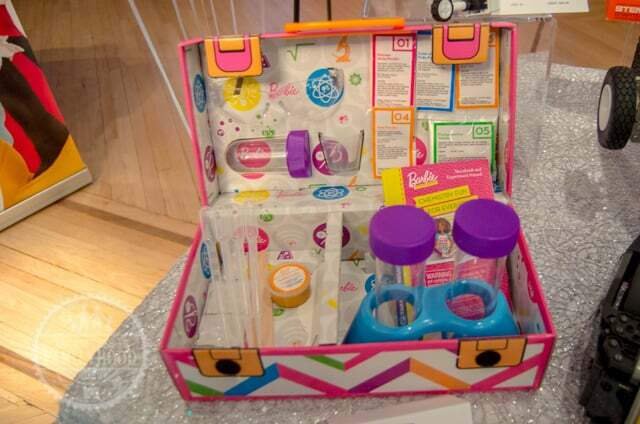 This is a great first chemistry set aimed at getting girls exposed to more science. I’m all for that! 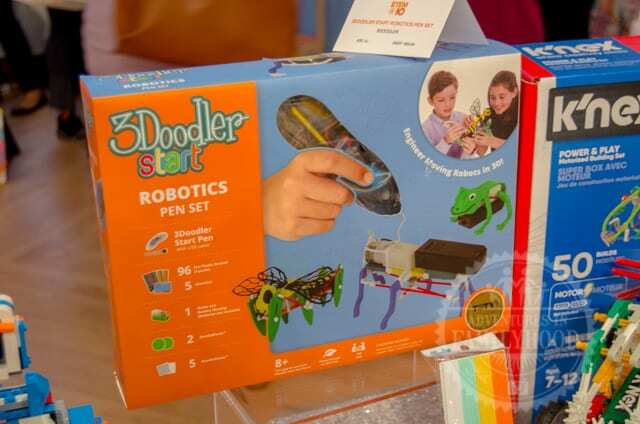 The Robotics Pen Set is the perfect toy set for a budding roboticist and engineer. This is amazing. I love that it’s simple enough for kids to use and also very safe. It’s a great way get them thinking three dimensionally! The Power & Play Motorized Building Set comes with 50 unique building ideas and a reuseable storage box. 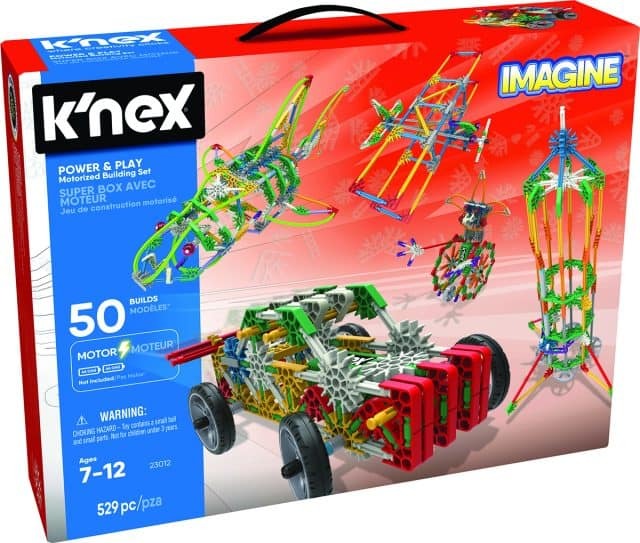 K’nex are a great creative toy. This set comes with a lot of ideas and plenty of pieces to create something of your own. The Acrobat Challenge features STEM-based principles of gravity and spring forces to make the acrobat fly. I haven’t seen this in action in person, but it reminds me of the game Mouse Trap, and I know the kids love playing that. I know that I would have loved something like this when I was a kid, too! 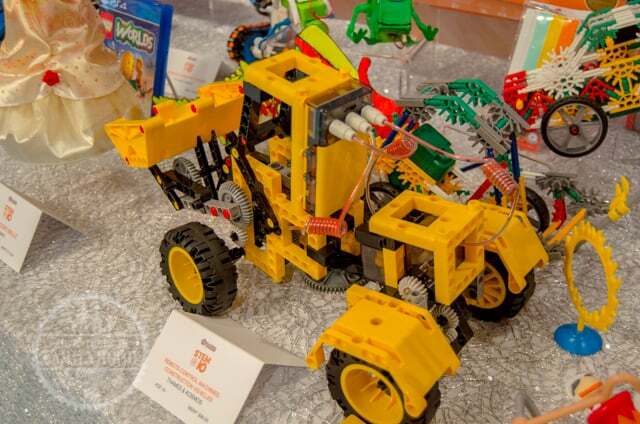 Kids can build eight models of realistic, heavy-duty construction vehicles and control them with a remote-control. I love that this toy combines building and constructing a vehicle with the ability to see it work and remotely control it when it’s all done. Having multiple builds means you’ll get a lot of life out of it. At the event, I got to see both the small versions and these large battlebots on display. 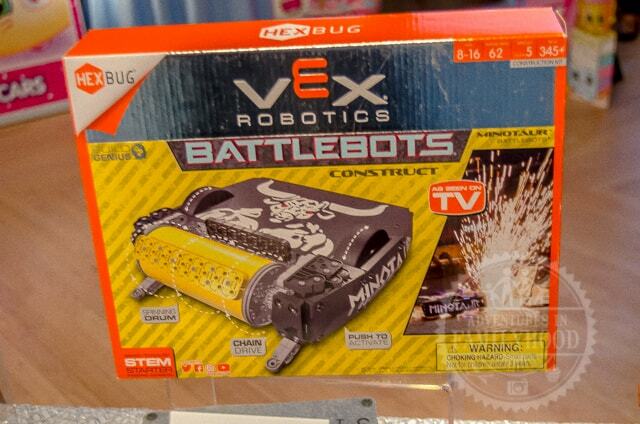 The fun of the battlebots is when you pit them against each other. So I’m guessing you’ll need to get both of these so they can battle? The LEGO BOOST app guides as they build and customize Vernie, their own personal talking robot friend, code its behavior, and complete fun activities with the included playmat. This was one of the coolest toys I’ve seen at any of the shows we went to this year. And you can use the “guts” of this to add to any of your other LEGO sets and bring those to life! This is endless fun! 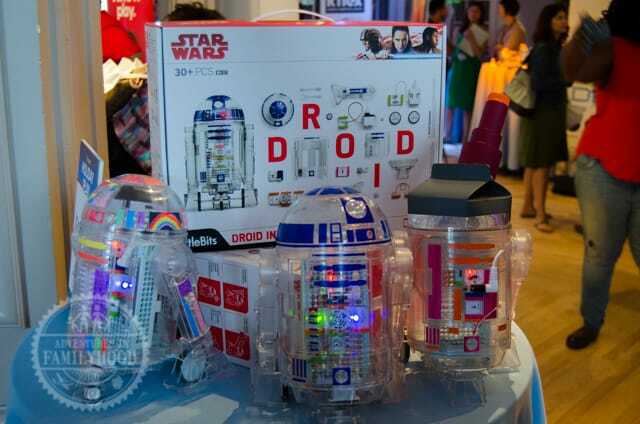 For the first time ever, kids can create their own R2-D2 and bring him to life. Build your own droid? Yes, Please! I love that the bodies allow you to both decorate to give your droid its own style, and look inside to see the bits and pieces you put in to make it work. Add on to that the coding and ability to program its movements… a great STEM toy!! 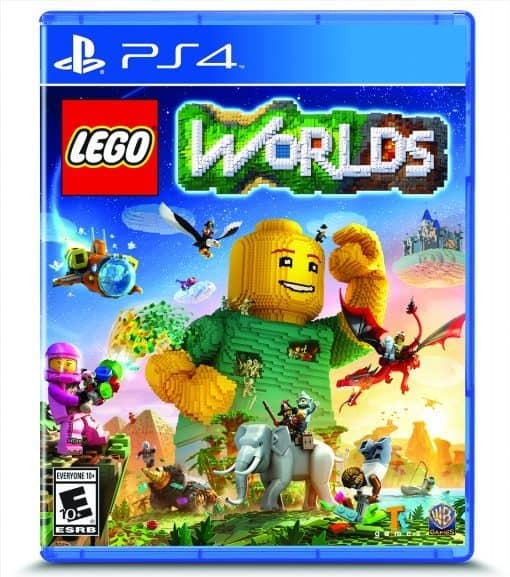 Young builders can explore, discover, and create one brick at a time with this open-world game. Ever wish you could have an endless supply of LEGO bricks to build with? Well, now you can… digitally. I think I’ll definitely be picking this up for our XBOX One! 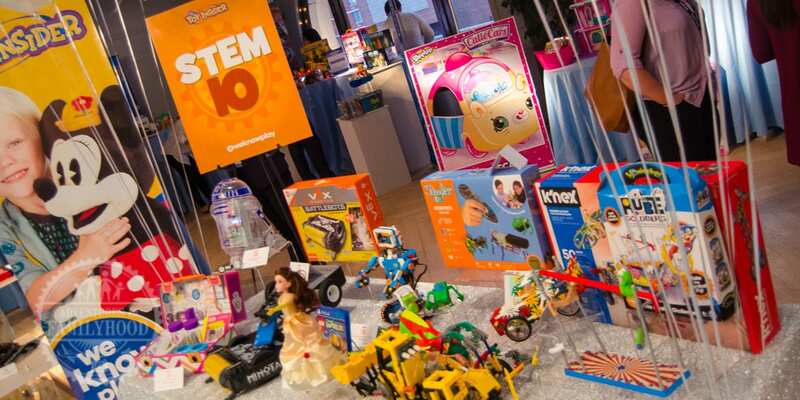 Those are the top 10 STEM toys picked by the experts at Toy Insider for 2017. 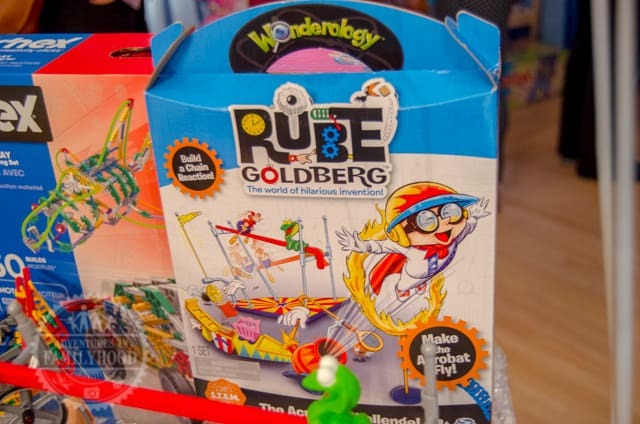 What is your favorite STEM toy from this list?